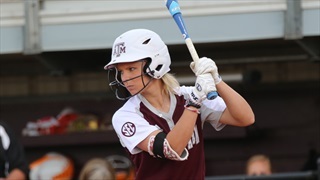 The Texas A&M softball team got off to a hot start with 3 straight victories. 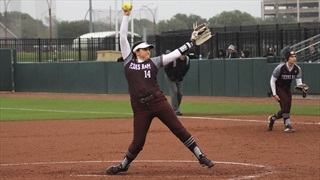 Unfortunately, the team was unable to secure a win in the second half of their double header against North Texas, suffering their first loss of the new season. 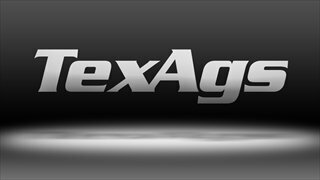 Texas A&M hitters blasted three home runs on Wednesday, dismantling the Mean Green pitching staff to the tune of 13 runs on 12 hits. Tori Vidales, Cali Lanphear and Breanna Dozier all hit bombs in the win. 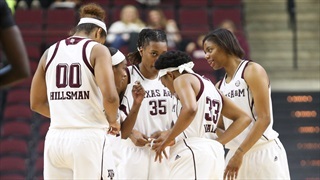 The fifth-ranked Texas A&M women's basketball team concluded non-conference play on Wednesday afternoon with a 75-38 win over UNT. 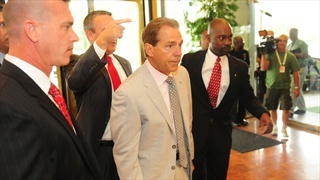 TexAgs was on hand to bring you still shots of the day's events. 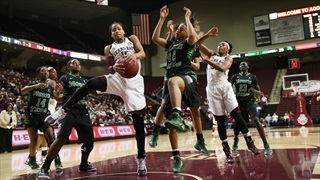 The Aggies started slow, but eventually overwhelmed the North Texas Mean Green at Reed Arena on Wednesday afternoon. 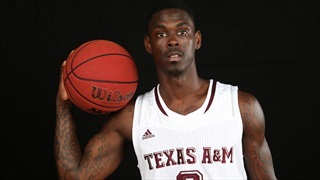 The Aggies finish non-conference play with a 12-2 record, tied for the best mark in school history. 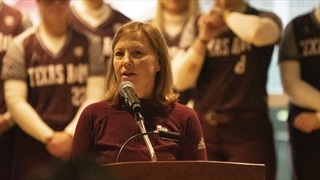 The Aggies seek to ring in the new year with a win against the visiting Mean Green in the second-to-last game before the start of Southeastern Conference play. Read the scouting report and join the discussion. The offseason couldn't end fast enough for fans who witnessed the Penn State scandal, realignment and another year of SEC dominance. Which stories, games and players should draw your eye this weekend?